You may wonder why we have Lincoln Longwool Sheep on a Church website. The wealth of Lincolnshire was for many centuries based on the profits from the sale of wool from the longwool sheep of the eastern counties. The quality of the long wool was renowned across the Channel and a booming export trade both legal and illegal from the ports such as Boston and smugglers’ coves along the coast brought great wealth to the Lincolnshire villages. Hundreds of thousands of longwools grazed the vast expanse of the county and it is on the backs of these sheep that lay the foundation for many of the 625 Churches which grace our beautiful Lincolnshire towns and villages. 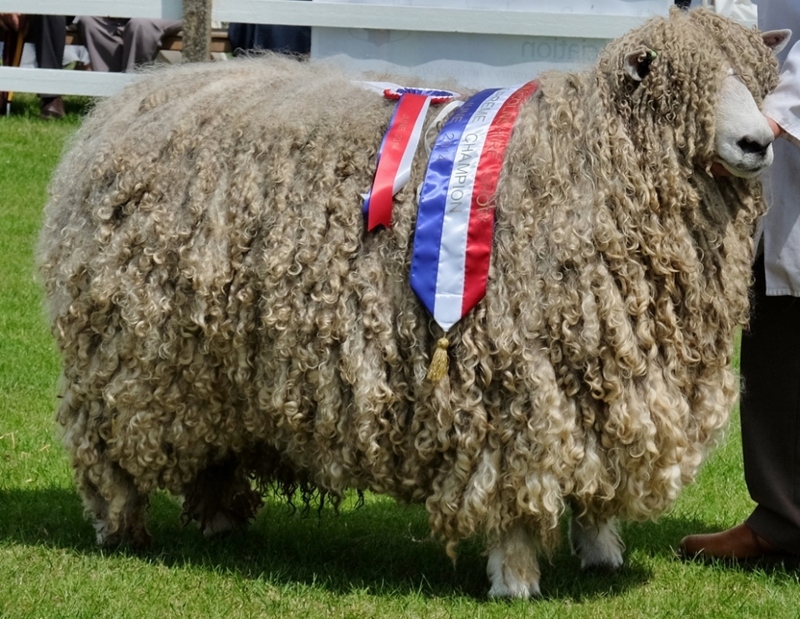 Belton Lightning (pictured above) was Lincoln Longwool Champion at the Lincolnshire Show in 2014 also winning the Interbreed wool on the hoof Championship at Lincoln and Norfolk shows. The privately owned 100 ewe Lincoln Longwool Belton Flock can be seen grazing around Belton village and is one of the very few large flocks that remain of the breed. The Lincoln is one of the Rare breeds on the RBST watch list with fewer than 1000 ewes remaining in the country.